And suddenly, everything makes sense.. I started this book as soon as I finished The Tempering. It picks up right where we left Mackenzie and the boys homeless and wandering through the forest. The sexual tension is ridiculous with a capital "R" and I found myself torn between who Mackenzie should choose. I liked how Adrianne put her characters in real situations where they didn't always make the best choice (Mackenzie, I'm talking about you) and they were forced to pay the consequences for that. In the mean time, there is so much action occurring around them that I really felt like I was totally wrapped up in their crazy werewolf world. We learn some new things about each of them and good or bad - they definitely set up the story for what's to come next. By the time one of the big secrets is revealed, I found myself yelling at my kindle because I was so involved! So thank you, Adrianne, and please give me the next book ASAP! The Good: Great action, sexual tension, frustration, and character development. The Issue: Without giving anything away, someone related to Mackenzie appears and I thought the character was a little too accepting and made me doubt their intentions even though I don't think I was supposed to. The Rating: 5 conch. 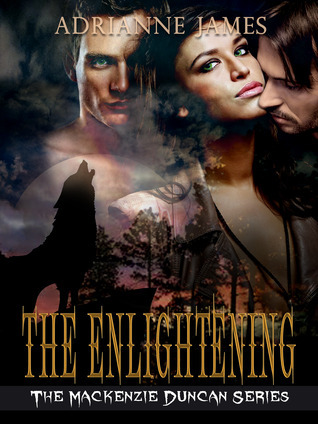 A great follow-up book that will have you swept away with the wolves.